I have been helping Ed get together the pictures to use for a powerpoint slide presentation for his upcoming Clear Creek Class of 1959 fiftieth reunion. 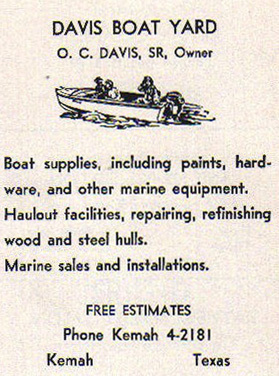 We came across this ad in the school yearbook for the Davis Boatyard. The phone number sure dates it (and us)!